Appointing an intelligent and responsible management panel is necessary for the smooth working of any organization. This process of recruiting and appointing suitable people at the management level is termed as management succession planning. Read on to know more about the concept of management succession planning in this article. Management succession planning can be defined as a top-level management recruitment process. This type of planning is usually done by projecting the future and current requirements of employees for higher management positions in the organization in case of resignations, death or retirement of any of the members of the management committee. A procedure wherein candidates are invited to fill in the management positions in the organization after interviewing them and putting them through tough tests in order to judge their management skills. The most suitable and capable amongst them are appointed by the organization. Many people ask, why it's important to utilize management succession planning in the organization? And I say why not? Business competition is increasing every moment. Only the best and the fittest survives in this competitive market and to hold the organization's position in this competition, you need to have clever people involved in planning and management. Management succession planning gives you a clear idea of the capability of each and every individual for the respective position. If you do not have good planners and good leaders, your organization might lose business and sometimes even face the risk of closure. However, these can be observed in a company that does not use management succession planning. Therefore, it becomes necessary from the business development point of view to have good leaders in the organization. Generally, people from the human resource management department are responsible for management succession planning as they are the ones who are in charge of recruiting. But, sometimes what bothers them is how to succeed in management succession planning, as they do not have proper knowledge of the procedure or do not know where to start. The steps discussed below will give you an idea of starting the management succession planning procedure. •The very first step in management succession planning is to foresee your business in the next five years or so by studying the overall business strategy. Determine the expansion of your business for a certain period of time. Consider the requirements of the current positions in your company as well as the future positions likely to be generated with the advent of business expansion. •Once you decide on the positions, figure out the responsibilities for that position and set up the criteria to apply and work for the position. •Next, develop interviewing techniques, tests and material that would help you to judge the right candidate for any position. •Once you have recruited the future leaders of your organization, make sure that you are ready with the grooming and management training programs necessary to cope with the position. •Impart proper training, by giving the overview, explaining the job description in detail and also the expectations of the organization from them. Assigning projects to the candidate which involve the study of all the higher management functions such as planning, organizing, monitoring and controlling should also form a part of the training program. •Besides continuing the planning procedure, also keep a periodic check to ensure that the process is heading in the right direction and also whether there are any loopholes in the planning process. •If you develop a management succession plan within the organization, you can ensure the recruitment of people, already in the business and those who already have knowledge about organizational culture. This eliminates the risk of recruiting strangers in the organization for such an important position. •Moreover, recruitment within the organization contributes to employee retention and reduces the cost incurred in the same. •On the other hand, recruiting people from outside enables fresh talent to enter the organization, therefore management succession planning proves to be beneficial from both sides. •You can have the best people planning and handling business for the organization, as you have tested them for their capabilities and other requisites. So folks, this was a general discussion of the various aspects related to management succession planning for any organization. Do you know the use of management succession planning for family businesses? Management succession planning can be applied to handover responsibilities to your successors in a family business too. Even there, you need to groom your future leaders, make them understand the whole business and take decisions on their own. Now it is up to you to use your leadership skills as a tool in management succession planning and how to go about with the succession plan to help your organization in achieving newer heights! Nowadays, it is very important for companies to plan processes and procedures and work accordingly. They necessarily need a step-by-step management process which would make corporate goals and ambitions easy to achieve. The strategic management process is an efficacious tool that helps companies carry out their processes in a smooth manner. Strategic management is a particular course of action that is meant to achieve a corporate goal. It is really significant in defining and setting up the organization's mission, goals and procedures. Generally, the owners and the founders of the company take the first step in creating a strategic management process. This process is responsible for carrying out several functions such as providing direction and guidance to the employees, setting up mensurable goals and a time span to achieve them, and designating duties to all corporate personnel. Marketing and sales projections are the most important elements in a conventional strategic plan which also includes the steps to assess the accomplishments of every department. Every company has a mission statement which is the primary reason for running the business. The mission statement should mainly concentrate on the ambitions and purposes of the organization. Defining the mission statement is the first step for initializing a strategic management process, and all other work procedures are a part of devising a strategic plan. The organizational goals need to be set up after the mission is determined. The goals include fiscal anticipations which strongly emphasize on sales growth, profit levels, customer retention and attraction, and expenditure factors. The goals set up in the strategic planning process are required to be measurable and achievable, and effective schedules should be put into practice to review every aspect of the goals. After the realizable goals have been properly set, the strategic management planning team needs to carry out the information-collecting tasks. A successful strategic plan is executed when employees, advisors, and freelancers contribute to every phase of the planning procedure. Sales and marketing practices provide data regarding the present scenarios in which the organization is operating. The Human Resource Management (HRM) department is responsible for providing data on aspects such as employee retention, health care expenses, and employee performance assessments. Freelancers are assigned the responsibility of studying market research and surveys and competitive intelligence to give a clear idea of the present business situations. After all the information and data is sorted out, the strategic management team then evaluates the reports and relegates the organization's strengths and weaknesses to formulate a final strategic plan. Plans need to be devised and implemented once all the data is readily available. The advertising and marketing processes can now be put into practice. Cutbacks and cost-cutting measures may be executed to maintain and increase the profit levels according to the organizational goals. At this point of time, the company management may also take the decision of introducing new products and services in the market. All factors that increase the profitability of the company should be thought upon by the management, and the strategic leadership should be planned according to different strategies. The managers are required to be given time lines for deliverables, level of expectations, budget parameters, and certain obligations. Efficient strategic thinking and a strategic management plan will always have controls and periodic reviews incorporated into the process. Each stage should be elaborated and then the changes should be made accordingly. The management team needs to keep a detailed record of the allotted deadlines, and the required particulars should be presented to the clients or stakeholders. The strategic planning team is required to review the integral strategic management process annually. Business situations, market projections, and technological furtherances demand present and regularly updated strategic planning to enable an organization to be successful in today's highly competitive environment. The periodic incorporation of the strategic management process is crucial for the smooth running of the company. As a result, companies are giving more importance to the strategic management process implementation. A creative team can make the difference between a lack of inspiration, and a brilliant idea. The creative mind doesn’t fit inside a box. It isn’t black and white. It doesn’t follow a pattern and it isn’t ruled by mathematical formulas. The creative mind is fluid, constantly changing, finding inspiration in its surroundings. A creative entrepreneur must find a balance between the need for structure and the need to be free to express their creativity. This is the creative’s challenge. It takes a lot of effort to get a business started. Aside from deciding what type of business to register, determining where to invest your dollars, and coming up with a business plan, you still have to somehow find time to work on creative projects and meet deadlines. It also takes time to build a client base and obtain a steady flow of income. Many times an entrepreneur just starting out will take any project they can just to get started. Because of this, we sometimes accept projects simply because we need to make a living, but this doesn’t necessarily mean that we have an interest in the subject matter. This is one example of why a passion, once a hobby, can become unpleasant when it becomes an obligation. It’s not that we no longer have a passion for it, or that we aren’t good at what we do, it’s that the extra element of pressure, and sometimes dull subject matter, can strip the life out of our inspiration. For a creative individual with dreams of perfecting their talent, this can be very frustrating, especially if the ideas just aren’t flowing. Because creativity is usually free flowing, it doesn’t always cooperate when we want it to, and quite frankly, being creative can be tiring. How can you commit to a deadline for a creative project when you just aren’t feeling creative? What if you are working on a project that provides little, if any, inspiration? What does it take to light the spark that will become a masterpiece? Sometimes having the presence of other creative people in our lives, whether as a formal ‘team’ or a group of friends you can call when you need a lift, can help alleviate pressure and keep us inspired. This is why a creative entrepreneur needs a team. Since most creative people are inspired by external stimuli, it helps to have a creative team in place to open our minds and strengthen our ideas. They help us form new ideas and look at things in a way we may not have envisioned before. They also help to motivate, inspire and encourage us. We also need others to help keep us on track and offer a unique perspective if we are falling flat on a project. Most of all, we need them to remind us of our passion for the arts and the very reason we became entrepreneurs in the first place. Chances are, if you are a creative person you probably surround yourself with creative people already. If this isn’t the case, my suggestion for building a team would be to start placing yourself in creative environments where you can meet other people with similar interests. Get involved with a creative group in your area, check for networking sites on the Internet, attend workshops, classes and seminars, or go to places that support your particular talent. Because summer is a great time of year to get out and meet people, now is the time to start. Many areas hold outdoor art shows, concerts and other similar events that bring people together. Scan your local paper or the Internet for events in your area, and check out the local talent. This is also a great way to see what other people are creating. Talk to them about how they sell their art and follow up with those that could be potential partners on projects. You never know what opportunities could come your way by simply placing yourself in an artistic environment, and you have nothing to lose by starting a conversation about art when it is of mutual interest. Don’t be discouraged if you don’t make acquaintances right away, because even just being in a creative environment can help make the difference between a complete lack of inspiration, and a brilliant idea. I would encourage any creative entrepreneur to seek out other creative people. Collaborate on projects together, or just get together once a week to talk about your craft, the ideas you have for future projects, and the direction of your business. I believe that we can find strength in the passion and talents of others, and that this passion fuels the creative gifts that burn inside of us. Extracting and renewing this passion with others can be the key to great success. It creates a bond, a community almost, of extraordinary people who think outside the box and believe in the power of art. It is the seed by which all other ideas are formed and by which masterpieces are made. One team can give birth to countless opportunities. Not a week goes by that I don’t receive multiple inquiries as to why I became involved in fighting the interior design cartel and how the interior design Freedom Movement started. I’m not an attorney, not a lobbyist, never wanted to be a political activist. I’m just an interior designer who couldn’t bear to see the entire interior design industry destroyed. Yes, interior design is more than decoration, but it’s also more than just being able to read codes. All designers want their clients to be safe in their spaces, but our opponents’ drive to deny the aesthetic aspects of the profession smacks of lack of confidence in their ability, vision, and creativity. I now find myself in a totally unforeseen career – educating, organizing and mobilizing grassroots and traveling the country with pink slingshot and pink boxing gloves in tow. Last month, after sharing my story with a fellow designer, she said, “That’s so inspiring. You should write a book.” So after giving it some thought, I decided to craft not a book but instead a short autobiographical documentary which details my motivation, experience, and the pathway to protecting the design community’s rights to earn a living. It’s been one wild rollercoaster ride, but second only to motherhood, no other endeavor has ever been so gratifying. I know, we’re not curing cancer or solving world peace, but saving thousands of jobs, well, that’s a good thing. Beehive Hotel Competition? What the...??? Five hotel designs have been shortlisted as part of Beyond the Hive, a competition launched by British Land and The City of London Corporation. The five shortlisted hotels will be built by their design teams June 7-19, following which the public and expert judges will be invited to vote for their favourite. This design is inspired by the City of London’s prestigious tower buildings and uses a flexible system that allows it to be adapted to create anything from a two-storey wildlife B&B for smaller spaces, to a complete 5 star hotel for larger gardens. The team will create a series of five towers ranging in height from 900 mm to 1,200 mm and made entirely from recycled materials, including recycled timber, recycled broom poles and garden and building waste. Taking its inspiration from the City of London and the juxtaposition between the ancient past and the modern age, the hotel uses pipework of different widths and lengths sourced from the Pinnacle project. These are fixed together in a sweeping line, rising up from a recycled wood planter base. Reinforcement bars used to create the framework will both support the structure and allow a plant climber, such as native traveller's joy, honeysuckle or hop. The façade of the hotel consists of a series of compartments based on a Voronoi pattern found in the natural world, which generates a series of voids varying in size at a depth of 500m. A variety of recycled waste materials and deadfall are loosely inserted into these voids, whilst the sides of the hotel are accessible for butterflies and moths, and the top is suitable for absorbing rain water through planting. Designed to reflect the diverse architecture of London, the Inn is a multi-storey habitat with different-sized cavities to accommodate a wide variety of invertebrates. The inn will be constructed from recycled and reclaimed wood, bricks and off-cuts found in surrounding areas. Cavities will be filled with soil and stones collected from the garden, whilst seeds for planting wildflowers will be donated by the Bumblebee Conservation Trust. Each of the sites will be visited by a panel of celebrated industry experts from the property, architecture and insect world. JourneyWayne Hilton Vies for a Show on Oprah Winfrey's OWN Network. LAS CRUCES - One of southern New Mexico's most innovative designers is taking his act on the road and wants you to share the journey. 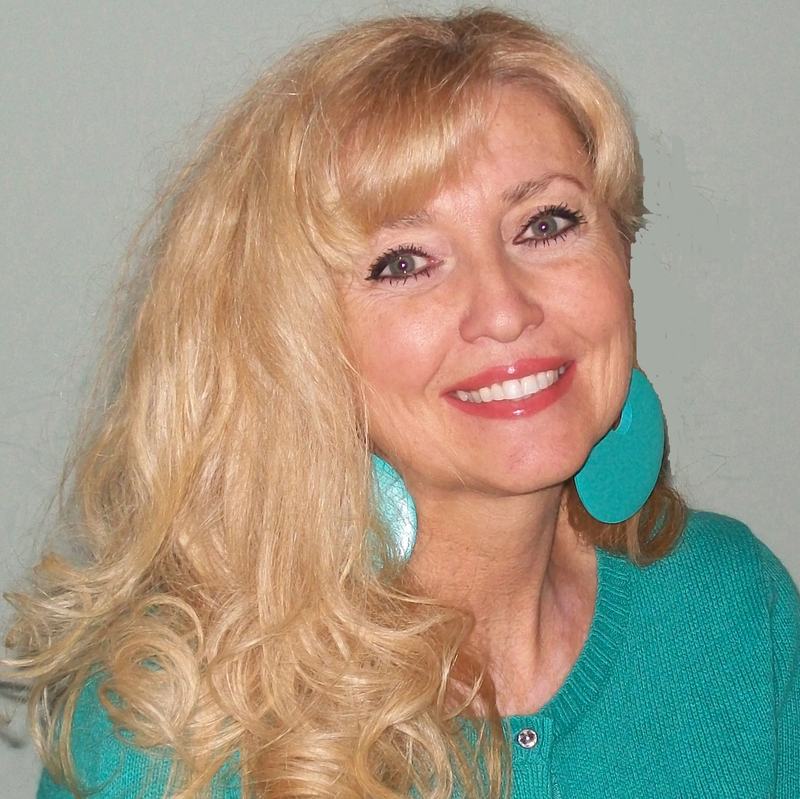 Wayne Hilton's artistic credentials range from New Mexico State University theater department costumes and sets to establishment of The Gen!, a vintage clothing and costume store, and other productions, innovative home furnishings and fashion enterprises here. He recently made it to the final tiers of a competition for a Home & Garden TV network reality show and now plans to compete for a show of his own on Oprah Winfrey's new network. Hilton said he learned a lot in his first bid for a reality show slot. "In January, I went through the application and audition process of getting on a show called Design Star on the HGTV network," he said. "It was an amazing process, and out of an unofficial number of almost 10,000 applicants, I made it to the final 25 contestants. I went through five cuts, and was eliminated from being on the show in the live audition process in Los Angeles." But despite the outcome, he was not discouraged. In fact, he found the process so inspiring that he jumped right back on the horse - or into an Airstream trailer - and came up with a concept for a new reality show. "In the process, I met Mark Burnett of 'The Apprentice,' 'Survivor,' etc. 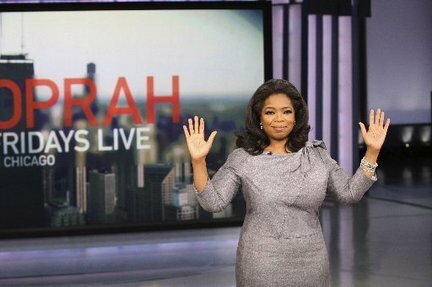 who is working with Oprah Winfrey to produce a show for her new network, OWN, which is inviting people to come up with their own reality show ideas." "Discovering YOU-S-A with Wayne Hilton," will invite others to share the spotlight, including Las Crucens. "The concept for my show is travel-based, exploring the offerings of unique small towns throughout the United States. It will be somewhat of a competition-based program, in that viewers follow my adventures, then vote on the town that was their favorite during the season," he said. Hilton says he's more interested in the process than the potential fame and star power. This week, he's finishing up an audition video and then he'd like to invite you to be part of his reality adventures. "I've always had the feeling that I'd be good at something like a talk show and the thing I like about this would be the chance to travel and go into communities and talk to people and let them tell me their stories," said Hilton, who works with ASA Architects locations, as well as in private practice, doing interior design work for both the business and residential clients. "I'm a big process person," he said. "I love the live interactions with clients." He has also deigned everything from fabrics and furniture to his own line of jewelry. "I'm filming my video south of Las Cruces using an Airstream travel trailer as my backdrop. During my entire 'Design Star' effort, I kept thinking how cool it would have been to have the process followed, reported on, or somehow shared with the community because first, I put so much into it, and second, it was a pretty entertaining effort," he said. If you like his concept, you can help him reach the reality big time. "Unlike the format of the 'Design Star' audition, the public can vote for the videos on Oprah's website," he said. To learn more about the process, go to www.oprah.com and click on "Your own show" and "Browse and Vote." Hilton's entry will be listed under "Wayne Hilton" and "Discovering YOU-S-A." He also plans a bloc and a Facebook page, both under Discovering YOU-S-A, for those who would like to follow his reality show adventure quest online. A two-year, round-the-world trip convinced psychology graduate Danielle MacInnes that she wanted to pursue a more creative career. With a strong interest in interior design, the young Dubliner set up her own consultancy, Fuse Interiors, on her return to Ireland three years ago. 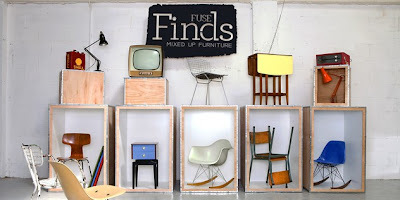 Building from that business on Mount Street in Dublin city centre, MacInnes has now launched Fuse Finds, an online furniture and design shop that complements Fuse’s interior design services. MacInnes said people were ‘‘beginning to appreciate good design once again’’ after a shift in taste during the Celtic tiger years. ‘‘The economic boom brought with it a desire for opulent, shiny, glitzy glamour, as well as a raft of multinational furniture chains selling flat pack, veneer and particleboard furniture," she said. ‘‘There’s nothing wrong with that kind of thing, but people are going back to looking for sustainable furniture that’s built to last. 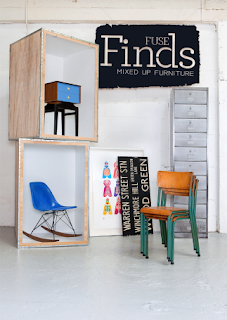 ‘‘Now what they’re creating at home is a mix of less expensive, contemporary furniture and classic, pre-owned, or ‘pre-loved’ pieces that add individuality and can be passed on to future generations." Fuse Finds features a mix of revamped charity shop vintage pieces, original mid-century investment items, flea market finds and new and contemporary design. All of the pieces have been hand-picked and reflect MacInnes’s quirky, offbeat design style. The collection has been sourced locally, as well as from Britain, Europe and the US. It can be viewed at www. fuseinteriors.ie/fuse-finds, and clients who would like to view the pieces can make an appointment at Mac-Innes’s new studio on Lad Lane in Dublin 2. ‘‘People are looking for unique design that has personality. They want their space to reflect their own originality and creativity. By mixing contemporary art and design with one-off vintage and mid-century pieces, you can create a completely individual look. ‘‘The collection includes classic furniture by celebrated design icons, including Jacobsen, Bertoia and Eames. ‘‘It also includes pieces made by manufacturers such as Herman Miller, G Plan and Anglepoise, as well as well-designed furniture that has been found at charity shops and flea markets that I’ve ‘upcycled’, or reupholstered and revamped," said MacInnes. To promote the business, she has a series of so-called ‘popup’ shops planned. ‘‘There are a lot of empty rental units available at the moment and we’re in talks with a few people about renting some of them from early autumn. People can visit the temporary shops and browse through the furniture and one-off vintage pieces," she said. ‘‘We want to provide a resource for those quirky, hard to find pieces and to bring an exciting design-led collection of original, affordable and sustainable furniture to our customers. In your seminars, you often address the idea of pricing. What is it that interior designers need to know and why does it come up so often? The reason why it comes up so often is that pricing for artistic work is not a science and often involves qualitative elements. There are many factors that can go into a price including experience of the designer, level of difficulty of the project, rapport with the clients, whether there is competition and mostly the negotiating skills of both parties. The most important thing to emphasize is the negotiation and that it is often necessary to do so in order to get the highest profitability from a project. Clients inherently want to save money and designers seem to take this as a reflection on their worth, their desirability. It isn’t personal, it’s just business. What are some of the biggest mistakes designers make when it comes to pricing? Designers tend to undercharge for their services and fail to fully outline a scope of services. What they end up doing is resigning themselves to an open-ended project for fees that amount to indentured servitude. Then they exacerbate the situation by not renegotiating at some point in time, feeling that they have no way out. Everything can be negotiated at any time. What is the biggest financial challenge designers face? Managing overhead against expenses. Frequently, they will obtain office space and staff without having the contracts to substantiate or maintain the business. Once this happens, deficits are not uncommon. I have met many independent designers lately who are interested in working for someone else, no longer interested in the hassles of managing a business. Why do you encourage designers not to concentrate on hourly? I encourage designers to focus on fixed design fees with a set scope of services so that they can include a premium for their time without being tied into a set number of hours. Designers are fast and they cannot make enough if they charge by the hour. Plus clients tend to watch the clock and get nervous at the thought of a ‘decorator’ out leisurely shopping on their dime. In what areas of their business can designers make the most money? They can make the most money through a combination of design fee for creative work and commission on implementation. Lloyd Princeton is president and CEO of Design Management Company. He is an international management consultant and professional development speaker to the design trade. Princeton is also 2007/2009 Communications Director and Newsletter Editor for the American Society of Interior Designers/Los Angeles Chapter. To celebrate its successful launch, In:Style Direct is making a great special offer to all customers placing their first on-line order. Just go to our on-line shop (http://www.instyledirect.co.uk/index.php?view=online-shop) and enter the special promotional code INS1 to receive a 15% discount on all first time purchases with no minimum spend. In:Style Direct's ranges are inspired by current design trends, with a wide selection of co-ordinated home furnishings (http://www.instyledirect.co.uk/index.php?view=online-shop) to choose from, including bed linen, rugs, throws and cushions, as well as artwork, lamps, mirrors and lots of inspiring home accessories (http://www.instyledirect.co.uk/index.php?view=online-shop) including glass and ceramics. Best-sellers from the new collections include a stunning range of feature mirrors, with bevelled glass mirrors and overmantel mirrors particularly popular. Artwork is also in strong demand, maybe because it's a simple way to make a real design statement - without breaking the bank. Contemporary prints with bold, floral motifs are selling well while a new contemporary range of mounted prints is another successful line. Ceramics are also top of many consumers' 'wish lists', with a range of vases, bowls and dishes in eye-catching modern designs - perfect for complementing contemporary interiors. In:Style Direct's stunning designs are clearly 'wowing' style-conscious consumers but it's the combination of beautiful accessories at affordable prices that is making the collection a sure-fire winner as Anita Mehra, Managing Director of In:Style Direct explains: "Our aim is to offer consumers luxurious furnishings at really competitive prices. 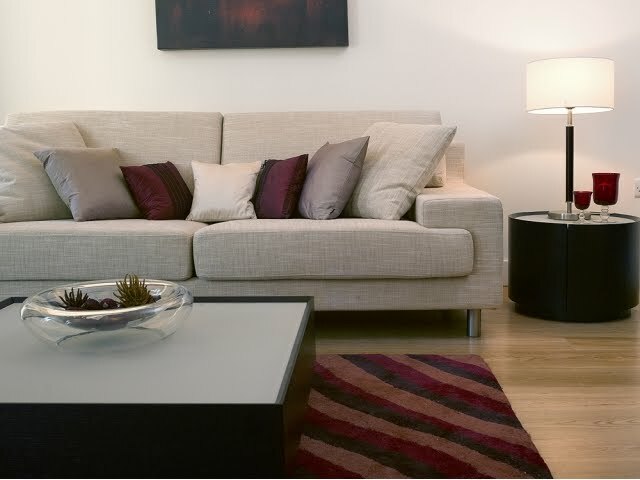 Our soft furnishings are all designed and manufactured in-house cutting out the middle man - that's why we're able to offer such high quality but well priced pieces. We are, of course, delighted that shoppers have been so quick to recognise the appeal of In:Style Direct - we believe it's a refreshingly affordable way to create the designer look in your own home - without the designer price tag." 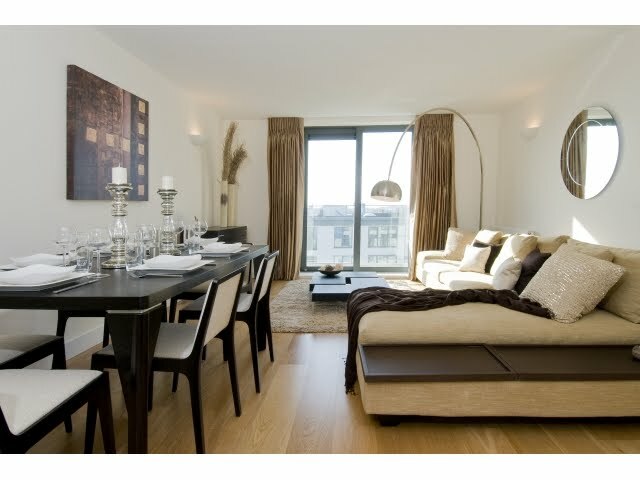 In:Style Direct is a name that is synonymous with creating luxurious interiors for investment properties in some of London's most exclusive residential areas. The company was set up by Anita Mehra in 2004 and now has design studios in both London and Dubai. With ten years in the Interior Design business, Atlanta-based designers Jennifer Cook and Jana Wallace have created Deck My Dorm (www.deckmydorm.com); an online college dorm decorating boutique packed full of bedding, accessories, lighting, wall decor, dorm decorating ideas, and so much more. Deck My Dorm offers a custom look, but not at custom pricing, with everything you need to turn your dorm room into a cozy and comfortable retreat perfect for studying and hosting new friends. The idea for Deck My Dorm (www.deckmydorm.com) formed over time after numerous visits to notoriously bland dorm rooms around the country. With daughters’ of clients who had set off for dorm life and Cook’s own daughter entering college, it became apparent that there was little to choose from in college dorm décor. The traditional high school graduation gift certificate to a big box retailer to select from mass-produced, low quality, cookie cutter dorm décor somehow fell flat, and custom dorm bedding was more than many budgets could bare. “A dorm room is really no different than any other design space. A dorm room is four walls, a blank canvas, just as the many Designer Showhouse bedrooms we have transformed over the years. A room becomes a home when given a personality,” says Wallace. The vision Cook and Wallace had for Deck My Dorm was to do just that: provide those destined for dorm life the option to infuse their dorm room with their unique style, personality, and spirit while keeping the parent’s dorm budget intact. At Deck My Dorm, you can choose from 17 unique college dorm bedding collections such as "Absolutely Alice," "Meet me at the Metro," "Serendipity," and many more. Each bedding collection has a personality as unique as your own with color palates ranging from the trendy to the traditional. Cook and Wallace have personally selected accessories, lighting, storage, window treatment, art, rugs, etc. that have been specifically designed to enhance the style of each Deck My Dorm collection. But Deck My Dorm is so much more than bedding: it is a style that encompasses the entire dorm living space. So you already have your bedding and are looking to add cool, hip dorm accessories and decor. Deck My Dorm is your answer! Have fun as you choose from the wide selection of window coverings, accent lighting, and cool, ready-to-hang wall decor that can easily be incorporated into future living spaces. Deck My Dorm also offers gift certificates and a "wish list registry" as well as tips for transforming your dorm room. You can begin decking your dorm today at www.deckmydorm.com! Jennifer Cook and Jana Wallace do not plan to stop here! They are constantly adding new products to Deck My Dorm. In their search for affordable and chic dorm decor, their vision for designing dorm spaces expanded into designing for life after the dorm and designing for small spaces. In late Summer 2010, the designing duo will bring you another hip and fashionable online site http://www.peaceloveanddecorating.com/!